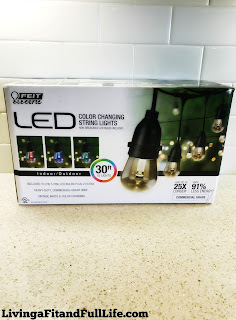 Living a Fit and Full Life: Feit Electric's 30 Foot Color Changing LED String Lights are Perfect for the Holidays or Any Other Time of Year! 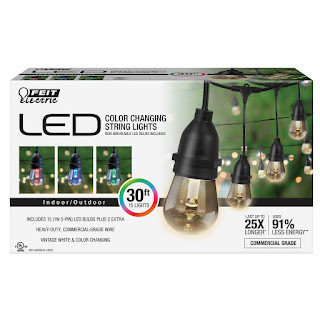 Feit Electric's 30 Foot Color Changing LED String Lights are Perfect for the Holidays or Any Other Time of Year! We are a leader in first to market lighting innovations and driven to deliver the latest breakthrough in interior and exterior illumination. To us, lighting is everything. The right light can turn a house into a home, make an unsafe area feel more secure, and navigating your way back to bed a lot easier. We challenge the status quo and leverage our years of experience to provide the ultimate in product quality and satisfaction. 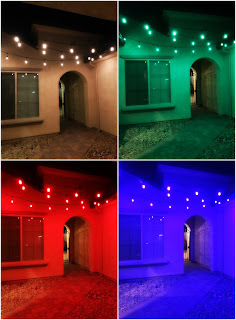 Feit Electric's 30 Foot Color Changing LED String Lights are perfect for the holidays or any other time of year! I'm so in love with Feit Electric's 30 Foot Color Changing LED String Lights because not only do they truly add class to any space but they also change colors. My husband and I have yet to get around to decorating outdoors for the holidays but because we have these amazing lights, we're able to set it to flash green and red so our house looks a little festive. 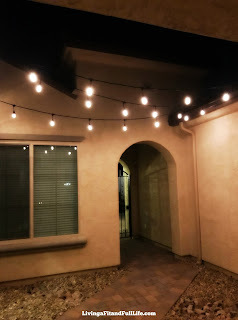 These lights looks incredibly pretty and I love that I can leave them up all year long. They make my patio look incredibly relaxing and it's the perfect place to sit after a long day and relax. Feit Electric's 30 Foot Color Changing LED String Lights are a terrific way to add a little class to any space and are perfect for the holidays and beyond! Click HERE to learn more about Feit Electric! Follow Feit Electric on social media!